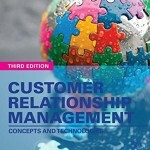 Buy your copy of the most recent edition of Francis Buttle and Stan Maklan’s best selling text “Customer Relationship Management: Concepts and Technologies” direct from the publisher by clicking on the title or book cover to the left. Independent subject matters experts have called this “a great tour of the CRM landscape”, “a reference work to understand the ever-changing field of CRM”, and “a comprehensive compendium of information and guidance”. Order your copy now. Francis is an experienced and highly qualified marketing, customer service and CRM expert who provides consulting advice, runs customised educational and training programs, facilitates change through corporate workshops, conducts research for clients, and delivers compelling keynote presentations. Francis conducts and publishes original research that pushes at the boundaries of knowledge. He’s worked for large and mid-sized corporates, entrepreneurs and non-profits; for established brands and challengers. He has brought together a group of like-minded experts who are all committed to evidence-based customer management. Evidence underpins everything we do. Contact Francis here. Maybe you don’t have enough customers, or too many of them are unprofitable. Are your customer satisfaction and retention levels disappointing? Perhaps the way you handle customer complaints is aggravating already unhappy customers. Is customer experience or service quality failing to meet customer expectations? Are you struggling to get maximum benefit from your CRM? Are uncompetitive value propositions leading to low rates of new customer wins? Are you experiencing low levels of customer engagement, or poor word-of-mouth? To find out how we can help fix these problems use the contact Francis form, email francis@francisbuttle.com.au or call the number below. Explore the site. Find out more about Francis and his talented friends; learn about our engagements and how we work; download some interesting and useful free publications; enjoy and join in our periodic blog that comments on a number of important and topical customer management issues.